Our product range includes a wide range of mica coated ceramic fabric flap, industrial coatings, mica coated ceramic fabric for high temp gasket, calcium silicate coated fabrics, coated fabric and coated glass fabric. 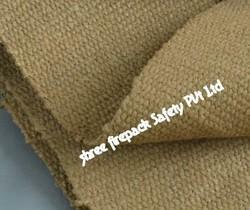 We are amongst the renowned manufacturer, supplier and importer of mica coated ceramic fabric flap. With our expertise in this domain, we are able to offer a superior quality range of mica coated ceramic fabric flap. 850° c if strength is required. We are the leading manufacturer, supplier and importer of Industrial Coatings. Shree firepack safety pvt ltd specializes in offering qualitative range of Industrial Coatings.Also our range of product include like yarn, ropes,cloth,webbing tapes,fire blanket,aprons,suits,welding blanket,coated & uncoated fabrics made of asbestos,non asbestos material like glass fiber,cermaic fiber & silica. Our organization is engaged in offering an extensive array of Vermiculite Coated Ceramic Fabric for High Temp Gasket. Our domain expertise has enabled us to come with an excellent collection of Calcium Silicate Coated Fabrics. 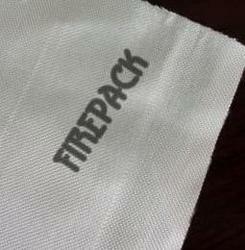 Our company specializes in offering qualitative range of Coated Fabric. Our company specializes in offering qualitative range of Coated Glass Fabric.